The prospect of creating an online store can be intimidating, even for experienced entrepreneurs and WordPress users. However, with this collection of e-commerce tips, you’ll be able to make the whole process much less daunting, while also increasing your chances of success. The vast amount of options on offer for creating and running a successful e-commerce store can be a double-edged sword. On one hand, it’s great to have so much freedom, but on the other, it can easily become overwhelming. In this article, we’ll be looking at the top e-commerce tips and best practices that will help make your WordPress-powered online store a success. I’m assuming you’ve already decided to use WordPress as the platform for your store, and that you have a product to sell. If you are still unsure as to whether WordPress is the right choice for your online store, read our guide to the main differences between using WordPress and a popular hosted e-commerce service. If you’ve yet to launch a product, take a look at our guide to getting started with a minimum viable product. However, even with those two factors taken care of, there’s still a wealth of decisions to make, strategies to implement, and tactics to use. If you’re new to e-commerce and selling online in general, then by the end of this article you should be much closer towards your goal of having a successful online shop, whether it’s your own project or something you’re building for a client. As with any WordPress website, in order to get started, you’ll need a domain name for your store and suitable web hosting. These two steps can be a minefield in their own right. The URL or address of your website has the potential to make or break a project. Anyone remember www.penisland.net? Thankfully, we’ve recently published a detailed guide on finding a good domain name for your website, so be sure to check that out if you haven’t registered a URL for your project. Next up, you’ll need to choose a web hosting provider to get your website and store online. As you’re dealing with customer data and possibly payment details too, you’ll need a web host with a strong focus on privacy and security. Furthermore, as slow loading websites can drastically reduce conversion rates, if you want to generate as many sales as possible, you’ll need a web host that can offer fast loading times. Again, to help you with this important decision, we’ve recently published a guide to choosing the best web host for your project. While you can sign-up for shared hosting, at only a few dollars a month, if you are serious about your store and your customer data, this might not be the best option. However, there are some great value high-quality web hosts out there so don’t despair. Most good web hosts will take care of installing WordPress for you, and if not, Kevin has put together this detailed guide to installing WordPress. So, now that you’ve registered a domain name, signed up with a web host, and installed WordPress, it’s time to get started with laying the foundations for a successful e-commerce store. Of course, there’s a lot more that goes into creating a functioning online shop than that, but these are the three core tenets of an e-commerce store. Thankfully, WordPress makes it very easy to enable these elements and get a store online. The first step in the process of building your store is to create pages for the different products you are selling. These listings should include beautiful pictures and great copy that sells the benefits of your products while also detailing their features. Remember to sell the sizzle, not the steak. Following that, you need a shopping cart to let your customers select and collect the products they’d like to purchase. Last, but not least, you will need a checkout system that integrates with a payment gateway or has the ability to collect payments independently, allowing your customers to pay for their items in a secure environment. Other important things to keep in mind are inventory management, shipping, refunds and returns, and customer service. It’s important that the entire shopping process is as streamlined and user-friendly as possible. This helps to ensure that shoppers are able to easily complete their journey to its conclusion and check out with their goods. That’s a lot to think about and implement on your fresh installation of WordPress. You might be wondering where to start. The good news is that as you’ve chosen WordPress as the platform for your store, getting setup isn’t as difficult as it might appear at first glance. All you really need are some powerful plugins and a great theme. So, let’s look at some of the main e-commerce plugins for WordPress to transform your website into a fully functioning online store. E-commerce plugins will help turn any WordPress website into an e-commerce store, in just a few clicks. A good e-commerce plugin will provide a system for publishing your product pages, managing your inventory, handling customer accounts, creating a shopping cart and check out process, providing shipping information, and storing orders. The right plugin can even help you offer discounts and promotions to increase sales. Furthermore, the best e-commerce plugins can be extended by installing any number of the add-ons that have been created for them. There are many plugins for WordPress that will add e-commerce functionality to your store. However, here are the two most popular options for WordPress, with the information you need to choose the right tool to power your store. With over 10 million downloads and 1 million active installs, not to mention being used to power 10% of all online stores, WooCommerce is the most popular e-commerce plugin for WordPress by far. The core WooCommerce plugin includes everything you need to get your products online, make them available to your visitors, and process payments from your customers. This e-commerce toolkit has the ability to calculate shipping costs and tax rules automatically; track your inventory; and create beautiful stock, sales, and profit reports. After installation, you can run the quick start guide to create all the necessary pages for your store and enter your preferences. From then on, it’s just a case of creating the individual product pages and sitting back and waiting for the sales to start rolling in. Of course, there is much more to creating a successful store – as we will soon see – but when it comes to taking care the technical side of things, WooCommerce is a great choice. One of the most impressive things about this e-commerce plugin, though, is the vast library of WooCommerce extensions. These add-ons will enhance your store in almost any way you can think of, adding the features that are necessary for your project. If you can’t find an existing add-on that does what you want, there’s a thriving community of WooCommerce developers who are standing by to create it for you. Perhaps best of all, WooCommerce is completely free to use. You can easily run a small online store with the free plugin, with the option of adding more features as your business grows. No matter whether you’re running a small part-time online business or a multi-million dollar online empire, WooCommerce has you covered. If you want to see how this plugin shapes up against the leading non-WordPress e-commerce platform, read our guide to WooCommerce vs Magento. If you’re selling digital products, such as eBooks, music, or other files, Easy Digital Downloads (EDD) is a solid choice. This lightweight, simple to use, free plugin offers all the features you need to start selling digital goods online. EDD enables you to get started selling online in just a few minutes, laying the foundation for your store, and leaving you to add the product details. It comes with a built-in reporting system that allows you to easily visualize your sales and profits, all thanks to the use of interactive graphs and tables. EDD integrates with all the big payment processors like PayPal and Stripe, taking care of collecting payments. Just like WooCommerce, there’s a growing library of add-ons for Easy Digital Downloads that extend the scope of this plugin in any number of different directions. With your e-commerce plugin of choice installed and activated, you are now technically ready to start selling online. However, to get the best results, the next step is to make sure your shop looks the part, so let’s pick a suitable WordPress theme that integrates with your chosen e-commerce toolkit. When it comes to WordPress themes, you are spoilt for choice. Again, this can make it quite tricky to pick the right template for your store. Most beginners are tempted to simply pick a theme they find attractive. However, there are a few more factors you should take into consideration when building an online shop. Your theme simply must be responsive. A responsive theme will make sure your store looks good and is functional, no matter what screen size or device it’s being accessed on. This is imperative as the number of online shoppers making purchases on their mobile devices is growing at a staggering rate. However, actual e-commerce conversion rates are much lower for shoppers visiting stores on a smartphone. One way to look at this is that there are shoppers using mobile devices out there, but for whatever reason, they are not purchasing as many of the items they’re adding to their shopping carts as their desktop counterparts. If you can choose a WordPress theme that is highly responsive and mobile friendly, including the e-commerce related areas of the site, such as the cart and checkout pages, there’s a good chance you can take advantage of this growing segment of online shoppers and sell more products. At the very least, mobile users are a growing demographic that will become increasingly important in the future. Therefore, doing all you can from the outset to make them welcome is highly recommended. Selecting a theme that supports your chosen e-commerce plugin is vital. Doing so means that the store pages on your website will be presented in a way that is consistent with the rest of your site, rather than appearing to be tacked on extras. Elegant Themes has a range of beautiful and functional themes for creating online stores. 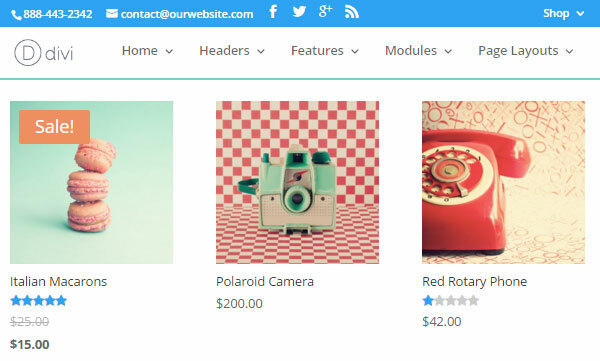 These themes are suitable for use with WooCommerce, Easy Digital Downloads, and other e-commerce plugins. So let’s have a look at some of the options on offer. 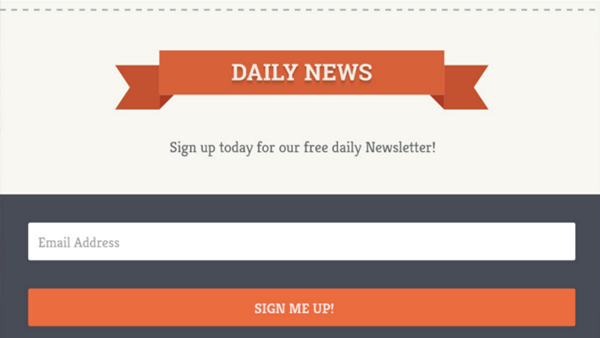 Divi is our most popular theme and for good reason. The innovative drag and drop Divi Builder can help even complete beginners customize their posts and pages without ever touching a line of code. The Divi Builder comes with 40 modules that let you add any almost any type of functionality to your website. Amongst these modules, you will find the Shop Module, which gives you the ability to place products anywhere on your site, not just on specific shop pages. 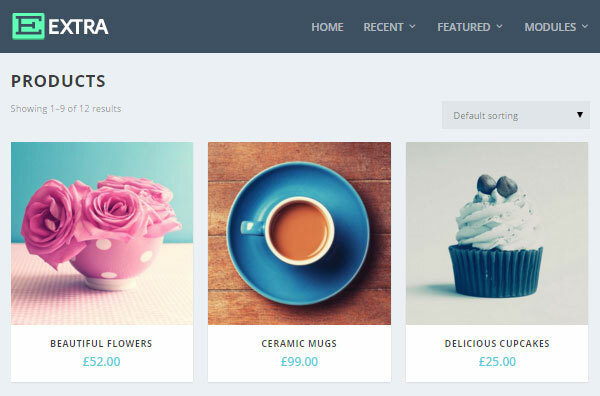 Extra is the latest theme from Elegant Themes. It’s primarily a magazine theme for content-rich websites. However, it also includes full e-commerce support. This makes it a good choice for either building an online shop or simply adding a few products to your existing WordPress website. With the integrated Divi Builder, you can create virtually any layout and design for your online store, all through a drag and drop interface. Extra makes it fun and easy to sell products on your site, without needing to know any code. If you’ve not joined the Elegant Themes club, then be sure to check out our collection of the most stunning e-commerce themes for WordPress users from a range of different developers. Now that you’ve built a beautiful online store and uploaded all your amazing products, let’s find out how to drive visitors to your shop and entice them to buy your products. Remember that famous psychological thought experiment—if a tree falls over in a forest, but nobody is around to hear it, does it make a sound? Let’s apply that to your e-commerce site. You can have the most well-designed online shop, with the best products, at the most competitive prices, but if nobody can find you, they’ll be no purchases being made. This is why it’s so important to think about traffic generation and conversions from the outset, when you’re starting to build your site. To make sales, you’ll need a lot of traffic, combined with a healthy conversion rate. When it comes to increasing traffic, there are many tried and tested ways to get more visitors to your site. This includes SEO, Pay per Click ads, Google Shopping, networking and outreach, social media, and many other forms of digital marketing. The good news is that, as with most things WordPress-related, there are plugins that can help with much of this. So, here are some tools and tips that will help you drive more targeted traffic to your site. Before you can increase the traffic to your store, you need to understand where you currently stand. You will be shooting in the dark if you don’t know what potential customers are searching for when they visit your site and how they’re interacting with your content. Google Analytics is one of the best options for keeping track of the visitors to your site, including understanding where they come from, who they are, what they are looking for, and what they do once they’ve arrived. If you are new to this service, our quick start guide to Google Analytics will get you up to speed. Many plugins will integrate your store with Google Analytics. This includes Google Analytics Dashboard for WP and Google Analytics by Yoast. Both are free tools and either one will be sufficient for most stores. If you want a little more insight, you may want to try the commercial eCommerce Tracking plugin by Yoast. Starting from $49 for a single website license, it’s not cheap, but its many functions might be a worthy investment if you’re running a busy online store. This plugin tracks your revenue (total and per product), the number of transactions, average order value, and conversion rates. On-page search engine optimization (SEO) is one of the most important ways to drive traffic to your store, but it can be hard work. Each of your product descriptions should include well-researched keywords that will help them rank for the search terms your audience are looking for. Each product listing should have title tags and meta descriptions, not to mention alt tags for each image. These tasks can quickly take up a good chunk of your day. The good people at Yoast have built a powerful plugin, which some call the ultimate SEO plugin for WordPress. This free plugin can help you with all of these tasks and much more. Following as many of the plugin’s suggestions as possible will drastically improve the SEO rating of your shop. Just remember, seeing the results from SEO, in the form of an increase in organic traffic from the search engines, can take a long time. In the meantime, to drive traffic to your store sooner, you may need to turn to paid advertising. There might be a steep learning curve to mastering online advertising, but this form of traffic generation can be vital to your store’s success. When done correctly, paid advertising can be an incredibly effective way to drive traffic to your website. However, manually adding all of your products to the merchant centers of Google, Bing, and other big players like Amazon and EBay can be repetitive and time-consuming. Thankfully, if you are using WooCommerce there is a free plugin called WooCommerce Product Feed Export that automatically exports all your products, including descriptions and images, to all the main merchant centers. This can help you save lots of time and effort in the process. It would be possible to write an entire guide on how to drive traffic with social media, but for now, let’s just accept that it’s incredibly important. There are many ways to use social media in order to help your store, beyond simply sharing your content and interacting with your target audience. While adding social sharing buttons to your product pages is a good start, there are others ways social media can help drive traffic to your store. Rewarding your visitors with a discount whenever they share your content with their followers, is one way to gain more exposure on social media. Easy Digital Downloads users can make use of the Social Discounts extension, which automatically activates a discount whenever a customer shares one of your posts, pages, or products on social media. If your store is powered by WooCommerce, then you can use the similar Social Share Discount Coupon extension. Another option is to make use of enhanced social media posts, such as Twitter Cards and Pinterest Rich Pins. These upgraded social media posts can include product information, such as live pricing details, and even buy now buttons. This makes it much easier for your products to generate sales when they are shared socially. One option for enabling features like Twitter Cards and Pinterest Product Pins for your e-commerce store is the commercial WPSSO plugin. You could even go as far as experimenting with displaying your WooCommerce-powered store on your Facebook page. Content marketing has been a popular buzzword for a while, and for good reason. Having a blog on your online store, where you can offer high-value, free content to your target audience is a great way to drive traffic from the search engines and social media. The many great reasons why your online store needs a blog includes the ability to forge a stronger relationship with your potential customers while also demonstrating your expertise in your chosen field. Having a blog also gives you another way to leverage social media and grow your website audience even more. Adding a blog to your WordPress powered, e-commerce store is very straightforward. If writing isn’t your forte, there are many freelance bloggers out there ready to take care of content creation duties and help grow your business. Email marketing is a tried and tested way to drive traffic to your website and there are countless benefits of having your own email list. However, you’ll need to make a conscious effort to grow your list of subscribers in order to turn your list into a valuable lead generation asset. Therefore, you should start your email list at the same time as you launch your online store, even if you don’t yet have much traffic coming your way. One tool for creating attractive sign-up boxes and other optin forms, which you probably already have access to, is our Bloom plugin. With just a few clicks, you can create custom pop-ups, fly-ins, and widgets to match the style of your store. Bloom integrates with all the best email marketing platforms so even if you’ve started your list already, it should fit right into your toolkit. If you really want to grow your email list and gain the ability to notify your army of loyal fans each time you launch a new product range or are holding a discount sale, you’ll need to create a lead magnet in order to entice your visitors into joining your newsletter. Now that people are finding their way to your store, it’s up to your to make sure that your visitors are actually buying your products. Here are some tips on how to improve conversion rates for your online shop. Once your potential customers have found their way to your store, you want them to have a frustration-free shopping experience. Happy customers spend more, so your goal here is to offer the optimum user experience. Now that you’re familiar with general user experience best practice, let’s move onto the e-commerce conversion rate tips. Using high-resolution images not only presents your products in the best light. They can also display their main features and benefits to the buyer. Professional photos are well worth the money, and choosing the right images has been known to improve conversion rates by 40%, with larger images also having the ability to boost sales. To make sure your photos don’t slow down your site, you should ensure your images are optimized as much as possible. Kissmetrics reported that a delay of 1 second to loading times could result in a 7% reduction in conversions. Therefore, having a fast site is vital for your success. Thankfully, there are many ways to speed up a WordPress website. With free options like caching and better image optimization, not to mention commercial services like content delivery networks and managed WordPress hosting, there’s no excuse for having a slow loading store. Just because your store is not brick-and-mortar, it doesn’t mean you can ignore customer service. On the contrary, you still have to gain your shoppers’ trust, and the best way to do this is to offer outstanding customer service. In recent years, live chat has become more and more popular. This is because it offers shoppers instant access to you and your support team. When used correctly, live chat not only improves conversions but can also increase the average order value by up to 15% for the customers who make use of it. There are plenty of ways to improve customer support and start reaping the rewards available from doing so. Using a suitable live chat plugin is a great place to start. Depending on the type of products you sell, the average cart abandonment rate can be as high as 77%. Many things could cause a shopper to abandon their cart, including being distracted by outbound links, the site or browser crashing, or the final price being too high. Whatever the reason, an abandoned cart doesn’t always have to mean lost revenue. Not if you use an abandoned cart plugin, and create the right kind of emails to entire visitors back to your store. Of course, there is much more to running a successful e-commerce business than building a store, driving traffic, and making sales. It’s vital that you fully research the relevant laws, rules, and regulations in both your country and the locations where your customers will be making their purchases from. The aim of this is to ensure that you comply with trading requirements, data protection legislation, and the consequences you will encounter should something go wrong. A data breach can have serious ramifications, even if you are using a payment processor like PayPal to handle the checkout process. With an e-commerce store, you’ll now be storing customer data and it will be your responsibility to keep it secure. This guide is meant as a brief introduction to some of the aspects involved in running an e-commerce store. Please do your due diligence or seek the services of a professional to ensure you are complying with international rules and regulations related to storing customer data, trading online, and the other elements of your business. I hope that you now have some new ideas you can put into action on your store in order to make it more successful. Whether that’s starting out with the right e-commerce plugin, implementing additional ways to drive traffic to your store, or some of the changes you can make to improve conversion rates. While WordPress might take a bit more tweaking than an all-in-one e-commerce solution, the flexibility and customization on offer, in exchange for that extra bit of work is almost limitless. With the right theme and plugins, you can create a simple way to sell a few products online or build a fully featured e-commerce empire. If you have any tips and tactics for making an e-commerce store a success, please share them in the comments below. I am wondering how Divi + Woocommerce works if using an SSL certificate? Are there any extra considerations or any limitations that I should think about? I am currently using divi and woocommerce on my site and all clouded with SSL. I never had any issue as far as it goes with the theme and woocommerce…I did however have a few issues with getting installed correctly lol. Niki, I’ve done a fair number of Divi + Woocommerce sites, and the SSL stuff works perfectly well. Woo does a nice job of giving options to force https for checkout interaction, and then force back to http for non-sensitive pages. Not specific to Divi, the only time I’ve had issues is when a piece of code or in a plugin or another developer referenced insecure content with hard coded http in a URL, which causes browser warnings on SSL pages. Easily fixed by looking at page source code, identifying the offending link, and working backwards to where that link got in the page. Thanks for this! Very useful article as I’m in the process of creating my own shop. I definitely learned a lot and thanks for the recommendations! Thank you very much for a well written and very informative article. This is a great article with fabulous content. I’m in the process of setting up an e-Commerce site and having this article to read at the moment, is further incentive to get it done right! Thank you for your thoughts, tips and tricks. – Product photography can make or break an e-commerce web site. Good product images help drive sales. Professionally done product photography adds a tremendous feeling of quality to an e-store. Bad product photography makes even a really nice site look amateurish. – Security: Just having SSL doesn’t guarantee security. If the site accepts credit cards directly, the store owner is going to be under pressure from their merchant bank to be PCI compliant, which goes way beyond the SSL certificate. It’s a topic rife with payment industry jargon and acronyms, not easily understood, and there are lot of companies selling “snake oil” solutions in this area. Read up on PCI compliance if the site will directly accept credit cards. – Payment options: Many in the web development business can live with Paypal as the only payment option, but for most of the rest of the world, direct credit card acceptance at checkout is critical. For small businesses, getting set up with a merchant account and a payment gateway can be a bit daunting. It’s also one of the longer lead-time issues (vendor selection, paperwork and approval), so don’t leave this for the last minute. – Shipping integration: If the site is doing any reasonable volume of orders, and those orders involve shipping physical goods, integrating a shipping solution should be part of the plan. UPS, USPS and FedEx all have real-time rate calculators. UPS and FedEx have XML interfaces for generating shipping labels/transactions for their account holders. Not sure about USPS. The plugin availability for these is not extensive, so custom development is sometimes required. My experience is FedEx is very good about assigning a tech support rep to help with integration projects. UPS is more of a “here’s our API, good luck” approach. wow, great tips here: good job! I recently wrote a 2000+ words piece about the “e-commerce world” where I give some insights, with real numbers, on how much it’ll cost you (at least) to build and maintain one based on WooCommerce. Great article Matteo. Worth a read for sure. Some great tips well summarised!